The Cubaso soaker will transform any homeowner's bathroom into a modern retreat. The elegant aesthetic of an antique claw foot bathtub meets the convenience of modern amenities. Pure white acrylic construction is easy to clean and cUPC certified. The chrome lion feet are the perfect complement to the sophisticated faucet and coveted handheld shower. The angled backrests allow for versatile installation. Overflow drain is included. The design of this freestanding bathtub is not only enviably modern, it's also perfectly attainable. 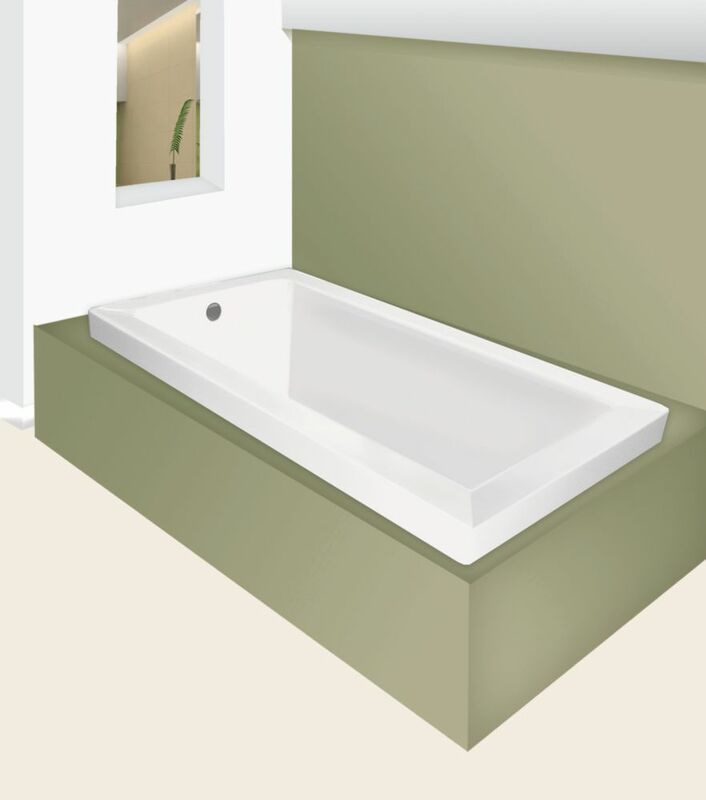 This cUPC certified tub fits in a standard alcove bathtub opening, so it's ready for your home renovation. Symmetrical backrests and a deck-mounted faucet with handheld shower make this a smart and sophisticated addition. The bathtub is the centrepiece of your home spa. Add a touch of personal flair and lots of character with this gorgeous hand-painted tub. The aqua and green colour scheme is perfectly suited to enhance the relaxing ambience necessary for unwinding after a long day of work. Acrylic construction is easy to clean and gives modern appeal to classic sensibilities. Faucet not included. Jade's seamless one-piece freestanding bathtubs with a matte stone-like finish are beautiful and contemporary. Designed both for quality and comfort the slim edges will transform any bathroom into a getaway, adding style and class. Adjustable legs and integrated chrome overflow and chrome drain are included for convenience and style. The adjustable legs allow for an easy sturdy installation. Turn your bathroom into your personal oasis and melt away the stress of the day with any of Jade's freestanding bathtubs. Moderno 66 inch Acrylic Drop-In Soaker Bathtub in White The Cubaso soaker will transform any homeowner's bathroom into a modern retreat.